I love Vancouver but I usually find myself getting lost in bars and restaurants. The food is superb but I decided to spend my short layover to explore a little bit of the city. 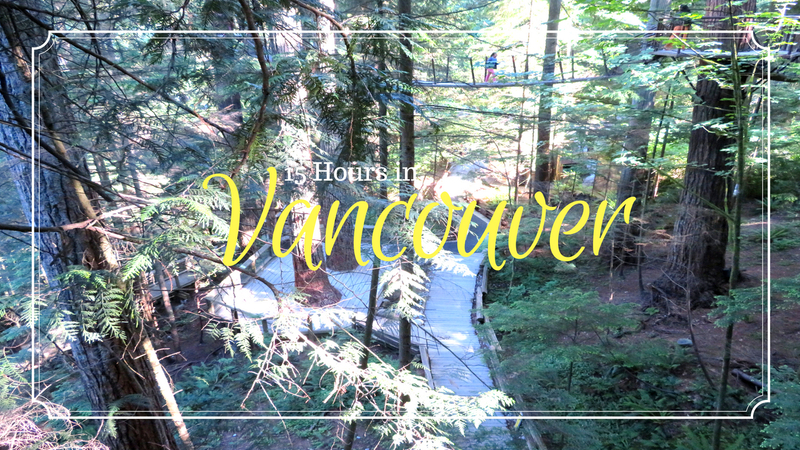 I landed in Vancouver around 15:30 so I only had a few hours to explore. I stayed at the Sandman Signature located in Richmond by the airport. A standard day rate is approximately $270CAN. The rooms are clean, a decent size, and offers free shuttle service to and from the airport. 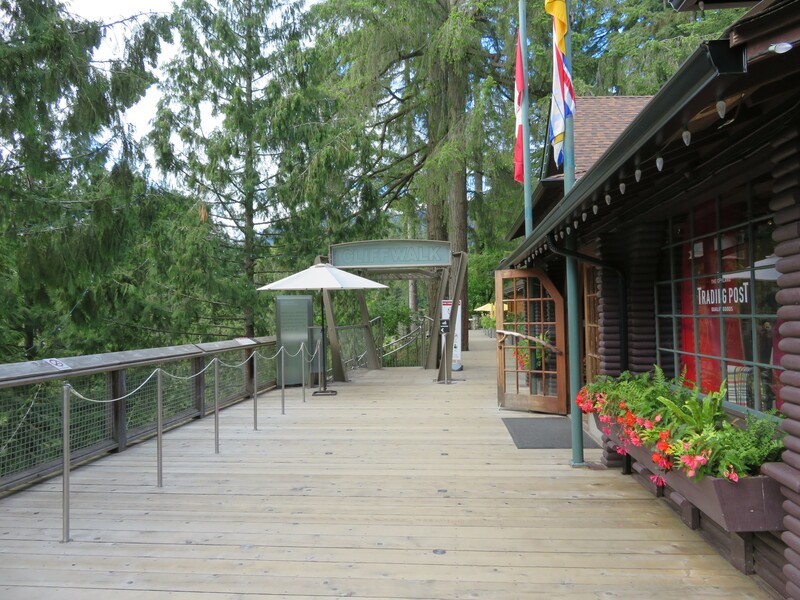 Vancouver uses the Canadian Dollar but US Dollars are accepted at some places. 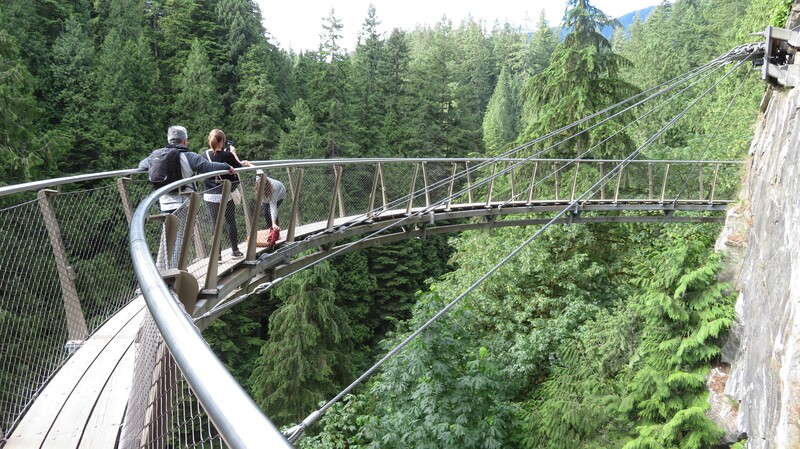 Capilano Suspension Bridge is perhaps the number one attraction in Vancouver. The Capliano Bridge is a 140 meter suspension bridge that stretches over the Capliano River. 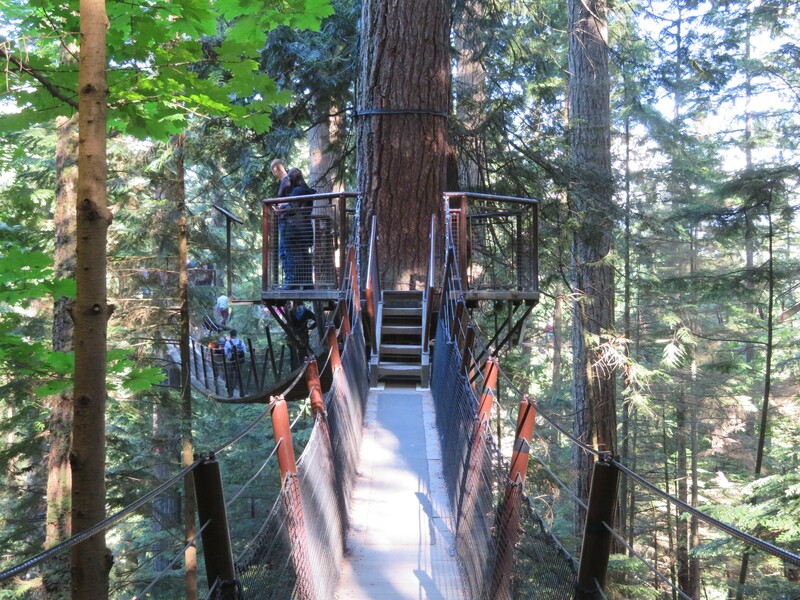 It took approximately 70 mins from Richmond to the Capilano Suspension Bridge. From my hotel, I walked 25 mins to the Bridgeport Station, located towards the airport. I purchased my day pass at the kiosk. Cash and Cards are accepted. I took the Canada Line Skytrain towards Waterfront. 8 stops later, I exited at Vancouver City Centre Station. I exited the station towards WB w Georigia St FS Granville St. I walked across the street and took bus 247. Bus 247 (Grouse Mtn) only runs during high peak hours. Bus 247 drops you off right in front of the Suspension Bridge at exist NB Capilano Rd at 3600 Block. You can also take bus 246 (Highland), exit EB Ridgewood Dr NS Norcross Way and it is a short 5-10 minute walk to the Suspension Bridge. If that is too much bus hopping for you, you can take the Skytrain to the final stop at Waterfront, than hop on the free Capilano Suspension Bridge bus from here. There are several buses operated by Capliano Bridge throughout the downtown area. Below is a price listing for the Suspension Bridge. There is a 30% discount for entrance after 5pm. 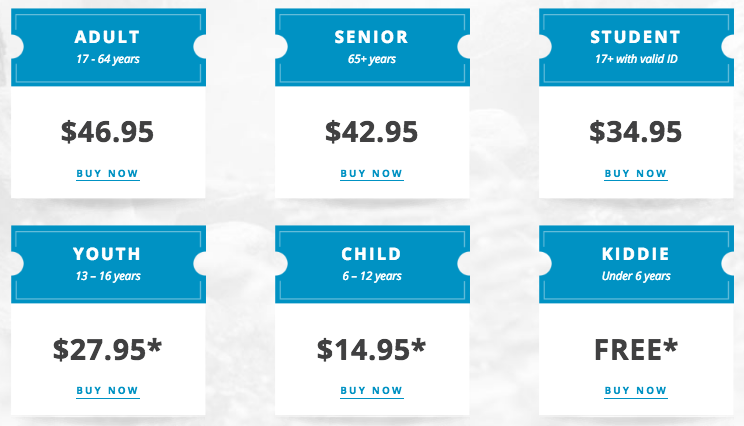 There is also a special deal for students and AAA members. If you are an airline employee, you’re in luck. Airline employees enter the bridge for free by showing the entrance representative a valid badge. 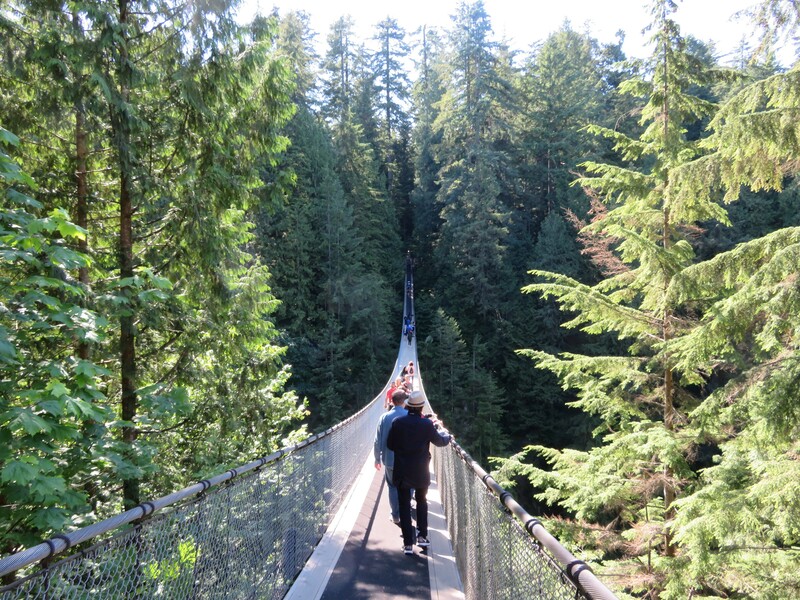 The Capliano Suspension Bridge is not for those terrified of heights. The bridge is long and people try to move the bridge as much as they can to terrify their friends. Just walk briskly and you will be fine. 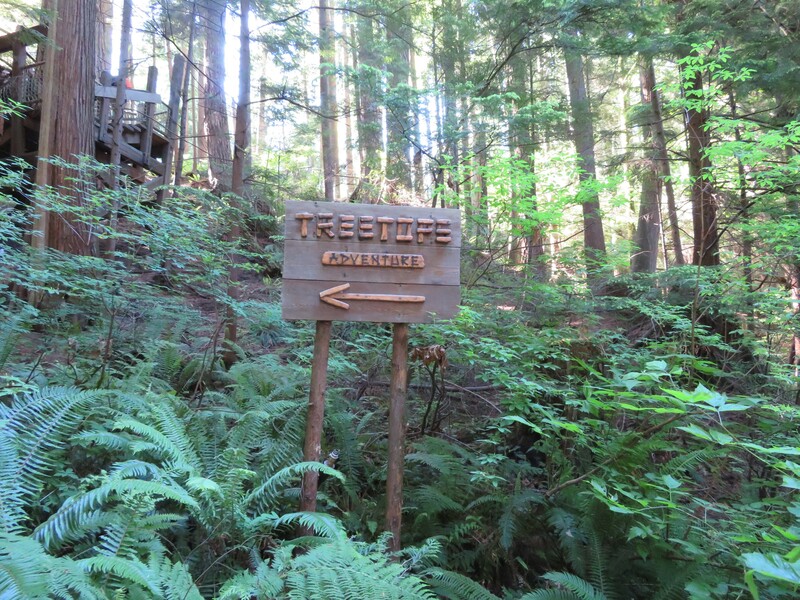 Once you cross the bridge, there are wooden bridges around the park surrounding towering trees. 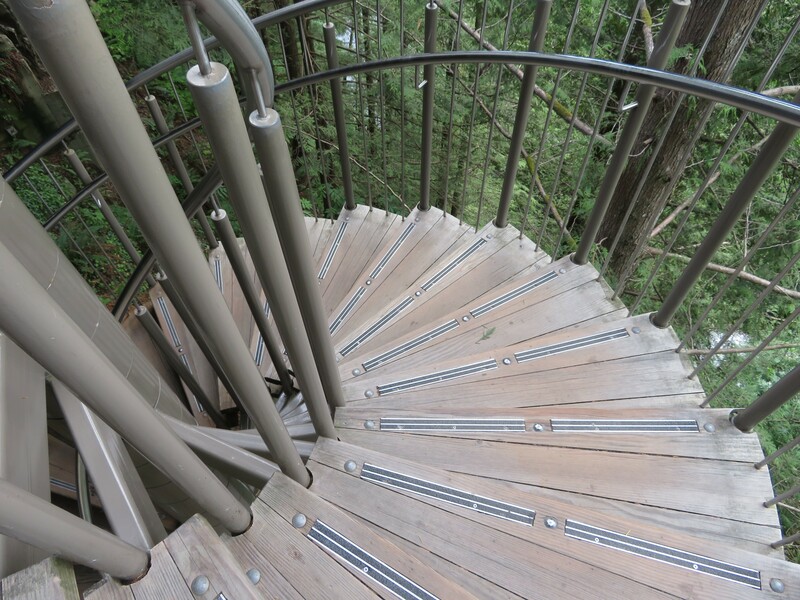 On the side of the entrance, you can view the scenery from a cliffwalk. There are areas where the ground is clear. I spent about an hour at the Suspension Bridge. 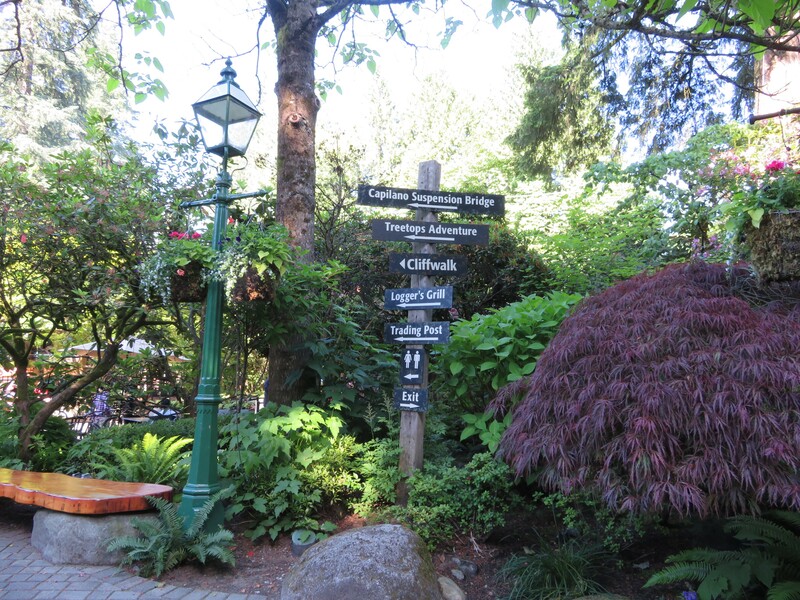 Stanley Park is one of the most famous parks in Vancouver. 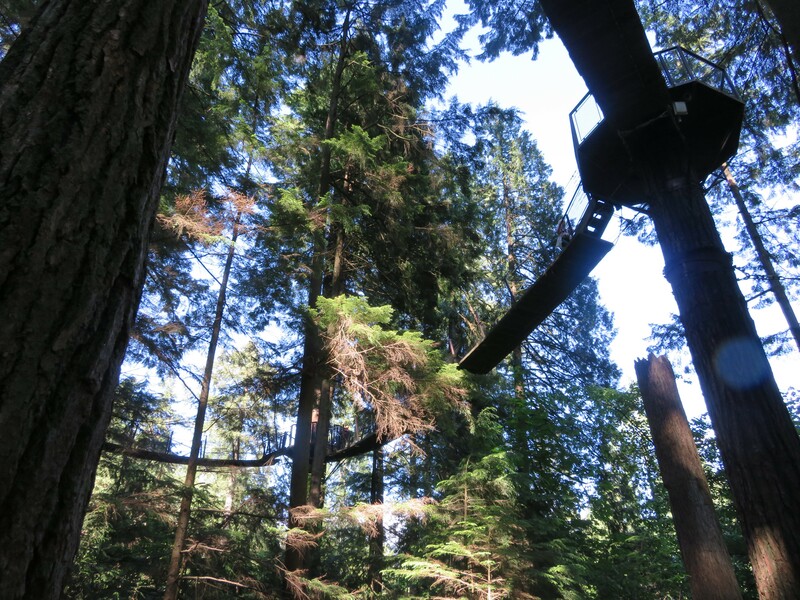 The park is not too far from the Suspension Bridge and it is a fantastic place for athletic enthusiast. 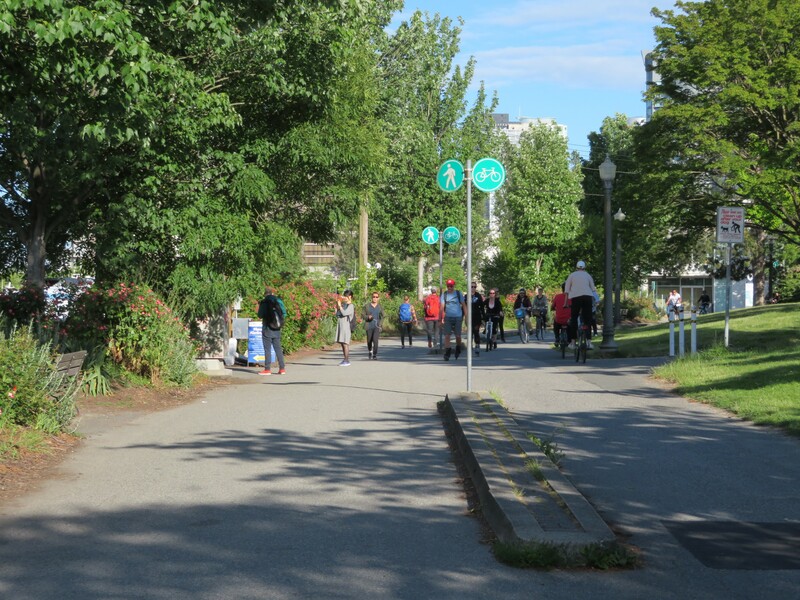 You will find lots of joggers, bikers, and even roller bladers. 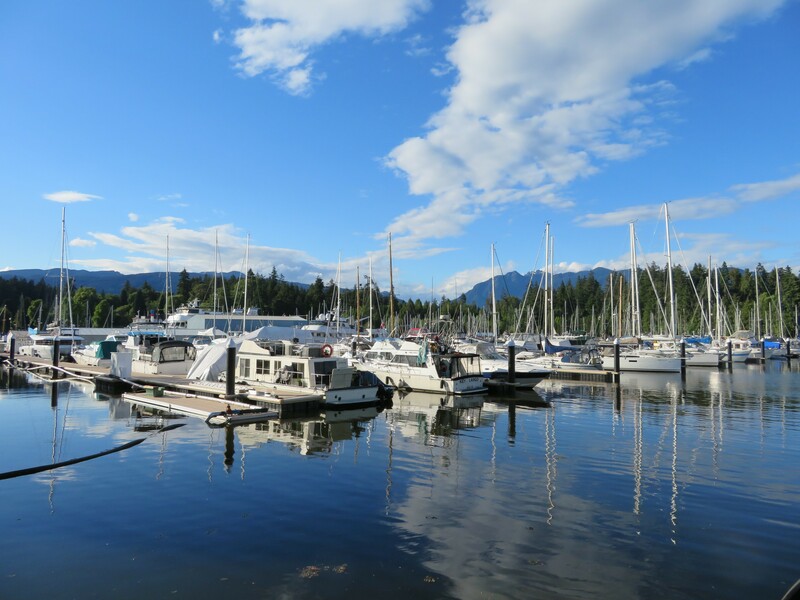 There are also many yachts, sailboats, and fancy diners located on the marina in Stanley Park. I spent most of my time here taking a walk around the marina. I took the bus to downtown to grab a quick bite to eat. There were tons of diverse cuisines but Japanese caught my eye. There was a ramen shop in every corner! It was already past 8pm and at this point most of the restaurants were closing up for the night. Marutama Ra-men is a small shop that specializes in ramen. I ordered their signature ramen which was the tamago ramen. I found the ramen to be too rich for my liking but it warmed me up as it was getting colder in Vancouver. Marutama Ra-men only accepts credit card payment, no cash. 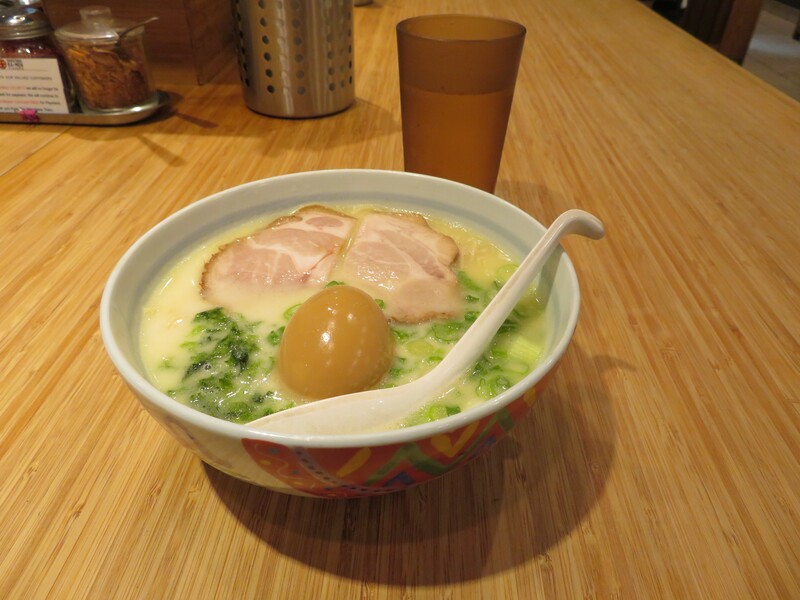 From Marutama Ra-men, I decided to indulge more on Japanese food. 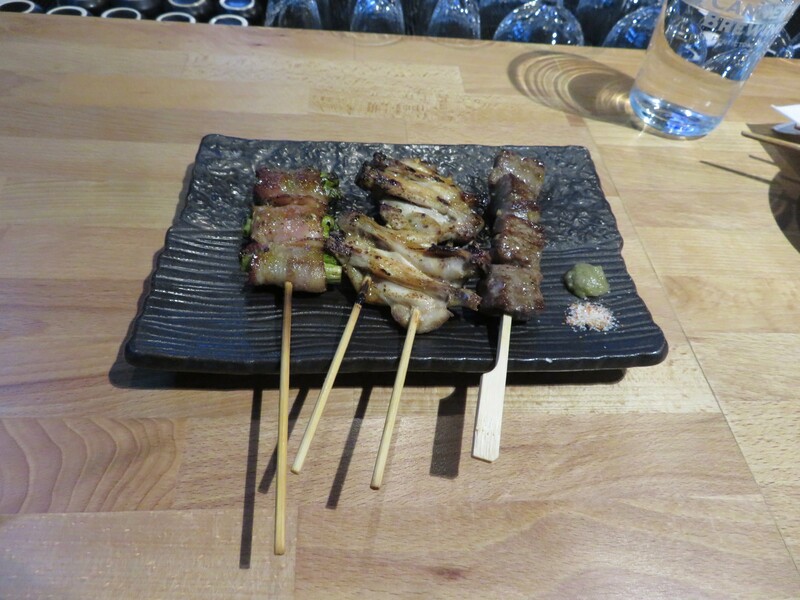 I stumbled upon Black Rice Izakaya on yelp and decided to check it out. I sat at the bar and ordered a few items off their grill menu. Each skewer was about $4CAN. The skewers were tiny but absolutely delightful. After dinner, I headed back to my hotel. It was 21:30 and the light was still out. I had a great layover in Vancouver and can’t wait to return for a longer stay.